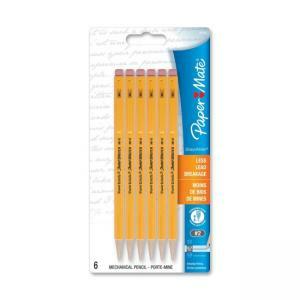 Sharpwriter is an easy-to-use, nonrefillable pencil. Shock-absorbing tip reduces lead breakage. Simple twist action advances and retracts lead.